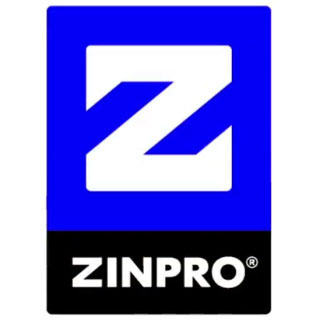 For more than 46 years, Zinpro Corporation has focused exclusively on one thing: trace mineral nutrition. Zinpro Performance Minerals® are the industry’s most research-proven products, being backed by more than 225 peer-reviewed research publications. When put to the test, Zinpro Performance Minerals have been shown to be the only true performance minerals on the market. They meet the 5-R’s essential Performance Minerals criteria: Return, Response, Repeatability, Research and Reassurance. Zinpro Performance Minerals are designed and manufactured to be the most highly absorbed and utilized by the animal, resulting in a higher level of production and greater profitability. Every bag – in fact each molecule – exceeds the highest industry standards for quality and delivers proven trace mineral nutrition based on sound science and integrity. Industry-leading Zinpro Performance Minerals include: Availa®4, Availa®Sow, Availa®Zn, Availa®Mn, Availa®Cu, Availa®Fe and Availa®ZMC. For dairy cattle diets, research proven benefits of these essential trace minerals can include: improved reproduction, increased milk production, decreased somatic cell count, enhanced immune response, improved hoof integrity and improved feed efficiency. For poultry broiler diets, research proven benefits of these essential trace minerals may include: improved feed conversion, improved breast meat yield, improved foot pad quality, as well as decreased skin scratches and cellulitis. For swine diets, research proven benefits of these essential trace minerals can include: improved reproductive efficiency, improved sow longevity, improved claw integrity, increased pigs weaned per sow lifetime, heavier weaning weights and less weight loss in lactation.